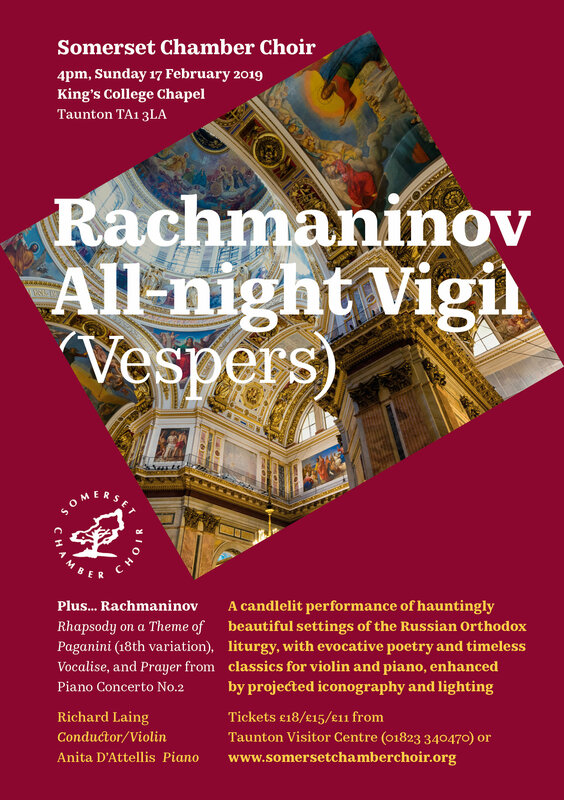 Arguably the greatest choral music ever written by a Russian and one of the finest choral works in the entire repertoire, Sergei Rachmaninov’s All-night Vigil (Vespers) is a tour-de-force of stunning virtuosity and extreme pathos. Featuring 15 exquisite sections corresponding to the sequence of the Russian Orthodox liturgy, the All-night Vigil divides the choir into 11 vocal parts and features some of the lowest bass parts ever written. This candlelit performance of Rachmaninov’s setting of the Russian Orthodox all-night liturgical sequence of Vespers, Matins and First Hour will be immensely atmospheric occasion enhanced with iconography and coloured lighting projected onto the stark white walls of the chapel. It promises to be a treat both for eyes as well as ears! Interspersed throughout the concert will be evocative poetry readings to complement the Russian Orthodox theme, together with three achingly beautiful arrangements of timeless classics for violin and piano – Rachmaninov’s 18th variation from Rhapsody on a Theme of Paganini, Vocalise and Prayer from Piano Concerto No.2 – each of which has the power to inspire refection on sacred Russian texts.